Visit the Michael Schwartz Library's table at the AHA! Book Festival on Thursday, June 7 at the Playhouse Square, Keybank State Theatre Lobby, 1519 Euclid Avenue. On display from 11:00 am – 8:00 pm will be a selection of our favorite photographs, copied from the Cleveland Press Collection in Special Collections at CSU’s Michael Schwartz Library, and all displayed online in our Cleveland Memory Project. Early photos of the Terminal Tower, Mr. Jingeling, Euclid Beach, Eliot Ness, Ghoulardi, and a host of other memories from Cleveland’s past will be on display. Select prints will be available for sale at special festival prices. 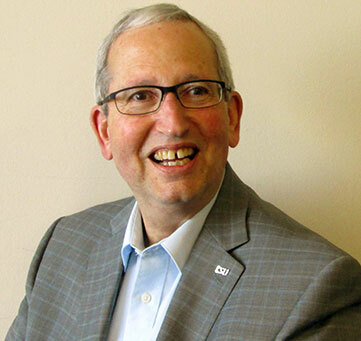 Meet Richard Klein, author of "Let’s Go Shopping at the Square" Cleveland's Leading Downtown Department Stores: A Business Legacy and The Legacy of the Pharmacy Industry:Cleveland, Ohio from 11:00 am – 4:00 pm. Ask questions about the history of Cleveland department stores or the Pharmacy industry, buy a book, and ask for an autograph! Dr. Richard Klein has served as a professor and program coordinator at Cleveland State University for more than 30 years. In addition to his administrative and teaching responsibilities, he has written several professional articles for major publications such as Appraisal Journal, American Preservation Technology Journal and Real Estate Issues. He has most recently published several books in EngagedScholarship @ Cleveland State University under MSL Academic Endeavors, Michael Schwartz Library's publishing imprint. The AHA! Festival: Arts and Humanities Alive runs from Thursday, June 7 through Saturday, June 9. Presented by Cleveland State University in partnership with Playhouse Square. Permanent link to this topic. Posted 2018-05-25 09:51:22. Reply to Barbara_Loomis. 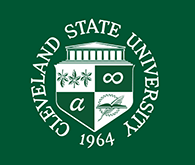 Categories: Cleveland Memory, EngagedScholarship@CSU, Library News. The Digital CSU Working Group will host a showcase for digital projects created by CSU students and co-sponsored by the CSU Office of Research and the Michael Schwartz Library. The showcase will be held on Thursday, May 3, 2018 from 10:00 am - 1:00 pm in the Student Center Atrium. Light refreshments will be served. Join us! 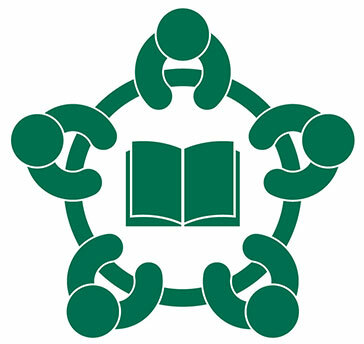 If you are interested in having your students present, contact the Digital CSU conveners: Christopher Rennison (c.rennison@csuohio.edu), Shelley Rose (shelley.rose@csuohio.edu), or Emilie Zickel (e.zickel@csuohio.edu). Permanent link to this topic. Posted 2018-04-24 14:16:18. Reply to Barbara_Loomis. Categories: EngagedScholarship@CSU, Library News. Join us for OpenCon 2018 Cleveland! To celebrate Open Education Week, Cleveland State University will be hosting its first OpenCon Satellite event on Monday, March 5, 2018 at the CSU Cleveland-Marshall College of Law, Moot Courtroom. Faculty, librarians, staff, students, and instructional designers are all welcome to attend. See the full schedule, which includes presentations such as "The Power of Open: Designing for Affordable Learning," and "Adopting and Adapting Open Textbooks," a faculty panel discussion, lightning round talks, and more at the OpenCon 2018 Cleveland Site. 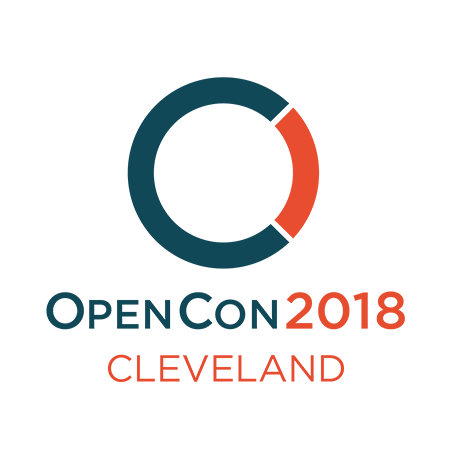 OpenCon 2018 Cleveland is FREE but please register by March 1 via the EventBrite registration form. A light breakfast and afternoon refreshments will be provided. Parking fees, lunch, and lodging are at your expense. Permanent link to this topic. Posted 2018-02-23 16:28:42. Reply to Barbara_Loomis. Categories: EngagedScholarship@CSU, Library News. Visit the Michael Schwartz Library's booth at the AHA! Outdoor Book Festival on June 7 at the Playhouse Square on Euclid Avenue. On display from 11:00 am – 8:00 pm will be a selection of our favorite photographs, copied from the Cleveland Press Collection in Special Collections at CSU’s Michael Schwartz Library, and all displayed online in our Cleveland Memory Project. Early photos of the Terminal Tower, Mr. Jingeling, Euclid Beach, Eliot Ness, Ghoulardi, and a host of other memories from Cleveland’s past will be on display. Select prints will be available for sale at special festival prices. Meet Richard Klein, author of “Let’s Go Shopping at the Square” Cleveland’s Leading Downtown Department Stores: A Business Legacy from 11:00 am – 4:00 pm . Ask questions about the history of Cleveland department stores, buy the book, and ask for an autograph! Permanent link to this topic. Posted 2017-05-31 15:02:18. Reply to Barbara_Loomis. Categories: Cleveland Memory, EngagedScholarship@CSU, Library News. The Michael Schwartz Library has recently published 865 theses and dissertations to EngagedScholarship@CSU, the showcase for research and creative output of CSU. These include doctoral theses and masters dissertations dating from December 2007 to the present and can be browsed by college, school, or department. They are also included in the OhioLINK and Electronic Theses & Dissertation Center. Students can learn more about adding their Theses or Dissertations to EngagedScholarship@CSU by emailing library.es@csuohio.edu. Permanent link to this topic. Posted 2016-05-12 13:44:47. Reply to Barbara_Loomis. Categories: EngagedScholarship@CSU, Library News. Showing posts in the 'EngagedScholarship@CSU' category only. See display options.